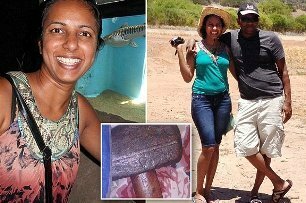 A Sri Lankan-born doctor who bludgeoned her sleeping husband to death with a mallet in Geraldton after years of abuse will not apply for parole because she fears being taken into immigration detention, according to online ABC report. The full report posted on Aug. 9: Chamari Liyanage, 36, is serving a four-year prison term in Greenough Prison after being convicted of the manslaughter of fellow doctor Dinendra Athukorala at their home in June 2014. She was acquitted of the more serious charge of murder. Liyanage’s appeal is expected to be heard in the Supreme Court as early as November. Her lawyer George Giudice said she would not be applying for release because of her uncertain fate. "She doesn’t want to apply for parole because apparently they will put her in an immigration detention centre," he said. Liyanage has been eligible to apply for parole since June. During her trial, the court heard the couple’s five-year marriage was defined by the "worst kind" of escalating sexual, physical and emotional abuse. The Department of Immigration has been contacted for comment."